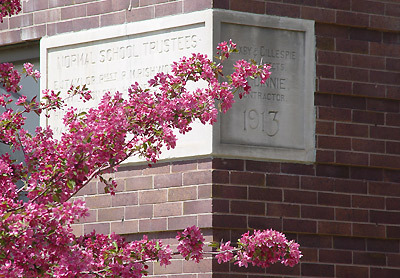 Located in north central North Dakota, Minot State University is a place where east meets west. Nestled on the northern edge of the Mouse River Valley, the campus stands at the heart of the "Magic City." The city of Minot - nicknamed the "Magic City" for its phenomenal growth during the early 1900s - is a regional center for commerce, culture, healthcare, agribusiness and industry. Minot is home to Minot Air Force Base and is a key service provider in the burgeoning Bakken oil play that's made North Dakota's economy one of the strongest in the United States. Offering more than 60 undergraduate majors and several graduate degrees, we've positioned ourselves to meet growth in fields such as criminal justice, education, management, nursing, social work, the sciences, energy economics and finance and management information systems. Graduates from our master's program in speech-language pathology are highly sought after. We provide students an exceptional education at one of the most affordable prices in the nation. We are committed to individual student success: with a student-teacher ratio of 14:1, class sizes are optimal for hands on learning. We encourage student involvement in research; we emphasize campus and community engagement; and our strong athletic programs participate in the Northern Sun Intercollegiate Conference in the NCAA Division II. MSU is an international campus, with students from 28 countries - many from Canada. Most U.S. students hail from North Dakota, Montana and Minnesota. Nearly all 50 states and several Native American tribes are represented in our student body and on our faculty. In return, we have a strong study abroad program allowing MSU students to study nearly anywhere in the world. Minot State University: A place to have the experience of a lifetime. And Be seen. Be heard.